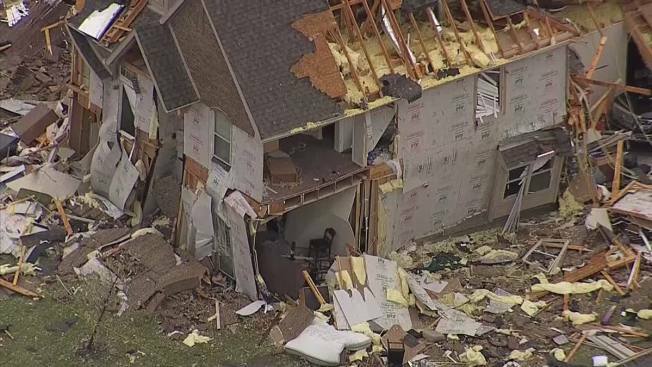 Severe thunderstorms moved through North Texas early Wednesday morning, bringing hail, lightning, dangerously strong straight-line winds and at least two confirmed tornadoes. 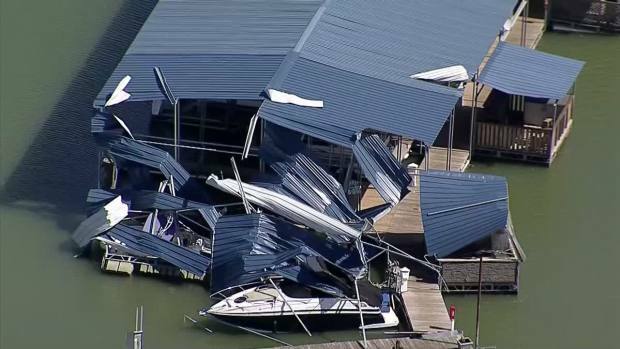 Shortly after 4 p.m., the NWS confirmed an EF-1, with wind gusts up to 83 mph, touched down in Lewisville. Swaths of tree, fence and roof damage were found in the area, the NWS said. 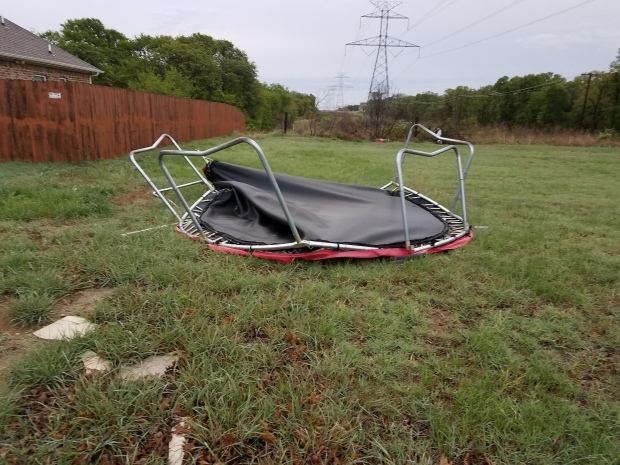 Earlier in the afternoon, NWS survey crews said they found no evidence of a tornado in Rockwall, but did find evidence of straight-line winds up to 95 mph — the equivalent of an EF-1 tornado. The storms developed first in West Texas and marched east after midnight, dropping more than an inch of rain in Fort Worth and an average of a half-inch elsewhere. Penny-sized hail and wind gusts of up to 70 mph were also reported by the NWS. 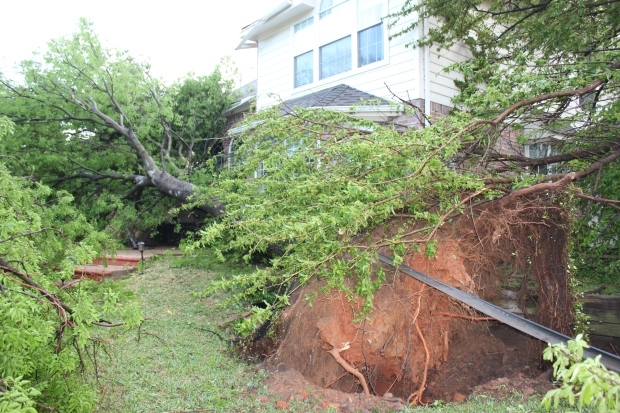 Survey teams from the NWS are still evaluating damage in Rockwall, Arlington, Benbrook and the Keller area to determine the cause of the damage. "We have a few people out performing storm surveys where some of the more significant wind damage occurred last night. There should be some updated information later this morning and this afternoon, though it may take several days to get out to all of the communities impacted," the NWS said Wednesday. Overnight storms destroyed several homes in Rockwall overnight, March 29, 2017. The National Weather Service is investigating to determine if a tornado touched down in the area. "We'll continue to work around the clock to restore power," Oncor Communications Director Geoff Bailey said. 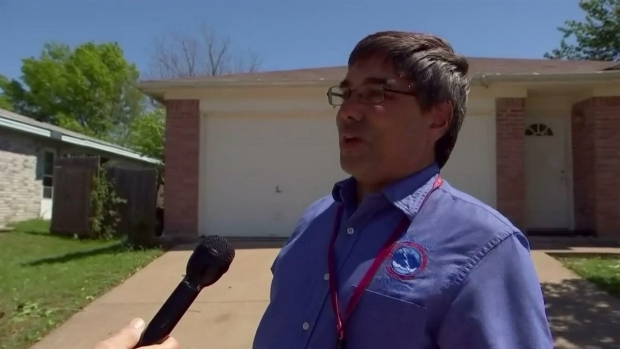 NBC 5 Meteorologist Rick Mitchell interviews Tom Bradshaw, the meteorologist in charge at the National Weather Service in Fort Worth, east of Highway 377 in Keller, where several homes sustained storm damage. Arlington opened its Emergency Operations Center Wednesday morning "to coordinate response efforts to damage caused by storms." The city said most of the damage was minor, though widespread, and included downed power lines, trees and fences. Texas Sky Ranger surveys the damage left behind by overnight storms in Arlington, March 29, 2017. The city said power losses have left eight intersections without traffic lights and 19 schools in the district without electricity. All schools in the Mansfield ISD were closed Wednesday due to the loss of power. Power was restored at Tarrant County College Southeast Campus in southeast Arlington at about 2:30 p.m. A school spokesperson said classes would resume at 4 p.m. and that all campus events will continue as scheduled. Cleanup in South Arlington begins hours after powerful storms pushed through North Texas overnight, March 29, 2017. Oncor reports about 27,000 Arlington households are without electricity. NBC 5 meteorologists said sunshine should return Thursday and Friday, but another round of thunderstorms is possible during the weekend. 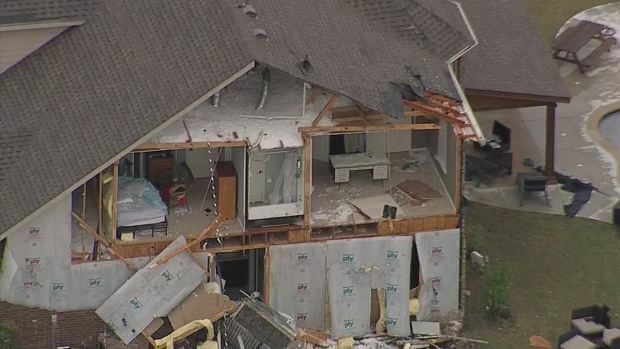 Texas Sky Ranger: Storm Damage in Rockwall, Tarrant Co.
Keep up with the latest changes to the weather by downloading the NBC DFW smartphone app!